Just so you know, everything’s fine. I didn’t have an accident or ingest the wrong berry. My head is OK, or at least as OK as it can be. I signed up for Blogging 101. Yes, I’ve been blogging for a while. BUT, because the last Blogging 101 happened right before I began my blog I thought I could learn something and fix my blogging boo-boos. My name is Barbie. I’m a goofball and kind of the opposite of an M&M-my hard shell is on the inside. I am in the process of writing my childhood memoir that I would love to see on the New York Times Bestseller’s list. The problem lies in the fact that I’ve had no training in writing. OK, I did take one workshop in memoir writing and I’m starting the follow-up course in a few weeks. Minimal, but it will do for now. I am, however, enjoying the challenge. Now for the real problem: As in any good memoir, the depths of your soul need to be revealed. This is not easy because of my M&M shell on the inside. I need some support here people. Warm hands will melt that shell. 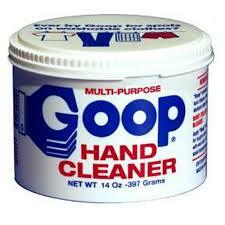 All in all it’s as grimy a goal as an oil change and I will need a lot of Goop to clean up the mess. If you don’t hear from me it’s because I’m washing my hands. Well that’s a little personal isn’t it? Write because I enjoy it. Practice putting personality on paper – I seriously didn’t intend to make alliteration here, but now that it’s there I’ll keep it. Learn something from about WordPress. Attract an audience And here’s more alliteration. I’m beginning to see a bad writing habit. Just ignore that and join my blog. Pretend that sharing personal info is no big deal. Wait a sec. Pictures of faces? Like children with big eyes? Women weaving baskets? Men looking macho? No. 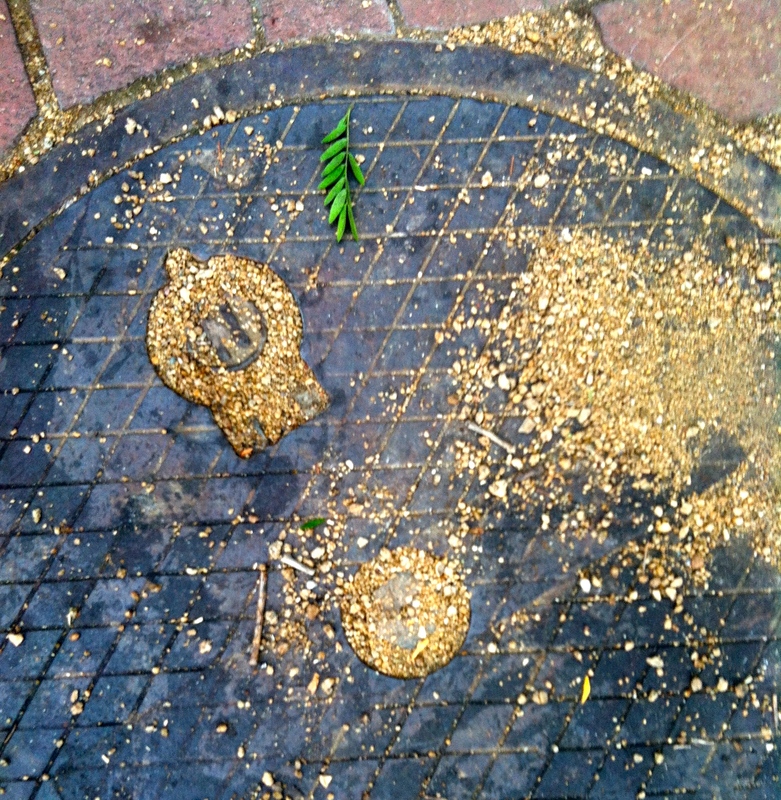 Pictures of faces I find in random places, like in the knot of a tree or a sewer drain. Because I see faces everywhere and they all have a distinct character. I also fear for the loss of creativity in mankind so I’m doing my part to keep it going. It’s good for the brain, and the soul. My blog is light-hearted and silly. I aim to keep it a happy place to visit when writing my memoir brings me to the low-down hoe-down. (I live in Montana. I do believe they still have hoe-downs here.) If I have a deep moment please don’t drop me on the tile. That’s when I’m the most fragile. C’est tout. (Yes, I speak French.) Thanks for visiting. Haha – brilliant! Well, nice to meet you…erm…still/again! I love your ‘lighthearted and silly’ blog, and to show my appreciation for your blog, I have nominated you for the Liebster Award: http://readsbyredriverbanks.wordpress.com/2014/09/15/liebster-awards-and-feeling-happy-on-a-monday/ . You may have been nominated before, or perhaps it is not your thing, but if you’d like to accept the award I would be thrilled. Happy Monday! Thank you for reading my blog and supporting weirdness in the world. Thank you Saksham. Good luck to you with your studies. Hi Barbie! Never swear off alliteration! It’s a poetic device that can be used to wonderful effect, when used consciously and judiciously. I love alliteration and will defend it to the death. Writing memoir is a tricky road, I understand. I’d love to know more about the one you’re writing. Deep moments are allowed. Required, actually. Go courageously and trust yourself. Be unapologetically yourself. I love your narrative voice in this post, by the way. Thank you so much for the nice compliment and the encouragement. I appreciate you taking the time to give me a much needed lift.